Former President Alan García, a so-called center-leftist, maintains a narrow lead over former army officer, buoyant nationalist and would-be populist Ollanta Humala in next Sunday’s Peruvian elections. This finding is based on a May 28 Apoyo opinion poll, which put García of the Partido Aprista Peruano at 52% and Humala of the Unión por el Perú at 48%. This latest poll revealed an upward trend for Humala, as a May 25 poll had put him at 8 points back, although he still bears enough weaknesses to make García the likely winner of the June 4 ballot. However, speculation of fraud has already tainted the election, with some of García’s supporters being accused of having committed ballot tampering in the April 9 first-round contest between García and the conservative candidate, Lourdes Flores Nano. In that vote, Humala placed first with 30.6%, while Flores and García vied for a berth in the runoff, with the former president eventually advancing with 24.32% to Flores’ 23.81%. Leading up to the election, both candidates have engaged in contentious verbal sparring, though only one formal debate was held, on May 21. An Apoyo poll held in Lima – a García stronghold – showed that he was the clear winner in that debate: 57% of respondents thought García won it, with 22% concluding that Humala took the contest, and with 11% believing that it was a tie. García led on all five of the issues which were argued: human rights, the economy, social policies, decentralization of government, and security. However, a nation-wide poll may have yielded different results since social policy and anti-corruption remain Humala’s strongest issues and his support base lies in the southern part of the country, which was not covered in assessments of the debate’s results. On the occasion of the aforementioned debate, Humala’s performance was hindered by his delayed arrival, although he claimed that García’s supporters had kept him from arriving on time. In his initial address, Humala proposed nationalizing Peru’s natural resources, as well as cutting the price of petrol. García countered by charging that lowering the price of gas would make for reckless fiscal policy by diverting state resources away from more important social programs. Later in the debate, Humala charged García with corruption, claiming that the former president ended his stint in office owning many more assets than at the beginning of his term. 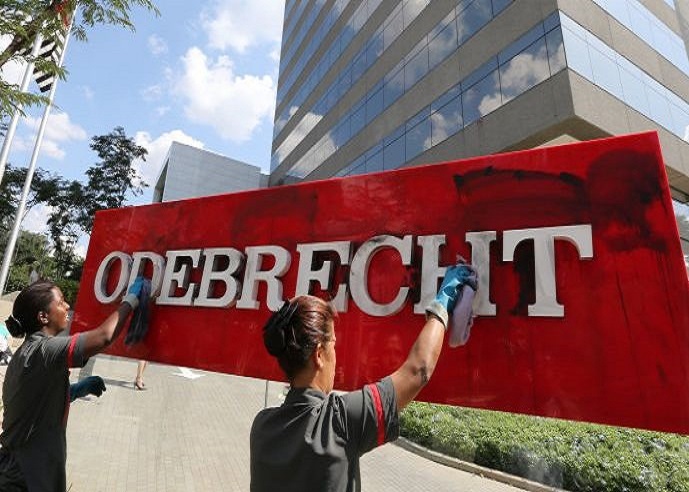 García, in turn, painted a picture of an equally venal Humala, accusing him of making off with $300,000 while serving as a military attaché in South Korea and France. Humala retorted by offering to give up his presidential salary and to only accept his military pension if elected. Similar childish bickering has become commonplace in both campaigns. In their most recent statements, the two candidates continued to launch vituperative personal attacks against the other, with Humala now insisting that he is being systematically victimized and that the country’s corrupt traditional parties have formed a “todos contra Humala” campaign to prevent him from gaining office. For his part, García accused Humala of being authoritarian-minded and too militaristic. Humala’s performance in the debate was hindered by his lack of appeal for the middle class, who oppose his support of heavy government intervention in the country’s now free-market economy. Humala is also hampered by his past, despite his strong denial of wrong doing. The most recent (although completely invalidated) allegations concern his hapless uprising six years ago against then President Fujimori, which was allegedly intended to help Vladimiro Montesinos (Fujimori’s notorious confidant and head of Peru’s intelligence service) escape from the country. 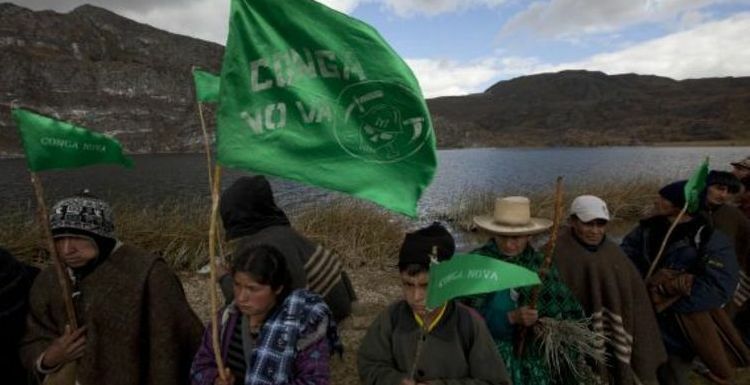 In the uprising, Humala and 50 soldiers from his military unit took over a mine in the southern town of Toquepala, seizing food and fuel reserves before disappearing into the mountains with an army general as hostage. That same day, Montesinos, who was facing corruption charges and is now serving a 15-year sentence, fled to the Galapagos Islands. Suspicions of their collaboration stem from an alleged series of phone conversations between the two, which suggested that they plotted the uprising as a cover for Montesinos’ escape. Humala’s platform contains a pledge that he will call for a constituent assembly that would void Fujimori’s self-serving 1993 constitution, which García also viewed as being illegal, because it concentrated more power in the hands of the president and the military, which Fujimori subsequently used to repress the populace. Another of Humala’s major weaknesses comes about from his being cynically linked by the García campaign strategists to Hugo Chávez, the Venezuelan gadfly political figure, who is seen by many Peruvians – particularly the middle class –as being overly radical. Alleged links to Chávez have hurt left-leaning candidates in other countries’ elections, and García (raising serious questions about his leftist bona-fides) has been emphasizing the Humala-Chávez link in order to smear Humala to gain unfair political advantage over the now embattled ex-military officer. However, predicting Humala’s potential political tendencies is difficult, as there is little evidence of ideological evolution to go on. While some expect him to join the pink tide alliance of left-leaning leaders, it is equally likely that he will pursue other policy options, as he will probably choose based solely on political expediency. Nevertheless, Humala has promised not to ratify the pending free-trade agreement with the United States. Contrary to Humala, García has maintained a warm relationship with the U.S. and the Peruvian middle class, as a result of his policy positions and their grudging recognition of him as an elegant speaker and consummate deal maker, which give him a debating advantage over the wooden-tongued Humala. Furthermore, García carries the normal neoliberal baggage of advocating less government intervention, and promises to maintain policies advocated by outgoing President Alejandro Toledo, which have achieved a high level of growth in the past few years. García’s recent strategy has been to offer “responsible change,” which has won him the much appreciated backing of the middle class. Although García fled the country after leaving it in economic ruin following his term as president, he has now repackaged himself as business-friendly. He has promised to renegotiate Peru’s recently signed free trade agreement with the United States to help the country’s agricultural sector, and has pledged to implement a variety of assistance programs for the region’s depressed industries, create more and better-paid jobs for day laborers – all part of his “pie in the sky” vision of bringing prosperity to all classes of the public. Few expect García to cause Washington many problems over the free trade agreement. Business leaders especially think he will have to sign the pending free trade deal with the United States to achieve his promised 7% a year growth. COHA’s analysis is that it is definitely likely that García, with strong support from the business sector, will come around to back the ratification of the treaty. In fact, rather than being actively described as center-left, or a member of the moderate left, García can best be described as a calculated opportunist who will make whatever adjustments to his line are necessary, if this would win him the presidency. García remains in the lead despite the abysmal reputation he acquired for the massive inflation that his policies prompted during his presidency between 1985 and 1990, and the humiliating circumstance of his having to flee the country after criminal charges (which were later dropped) had been lodged against him. Normally, it would be somewhat difficult for Humala to pose a threat to the status quo, given that he was an untested outsider with some outlandish aspects to his family background. But Humala’s task has been made even more difficult because his populist rhetoric has helped make García look good to a business sector that would normally abhor him. Thus, Humala will be ill-prepared to ward off a final victorious electoral surge by García and his newfound political allies, many of whom had excoriated his previous government. Although García barely came in second place in the first round of the elections, he has since consolidated his forces and is in a strong position to take the second round on June 4.